Whisky for everyone at the Starward Distillery! 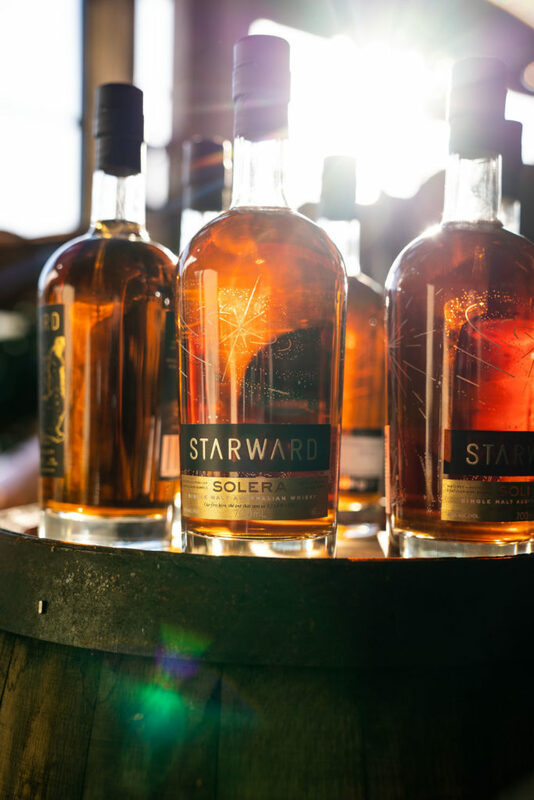 Starward launched in 2013, capturing hearts and palates with their uniquely Australian whisky and ‘no airs and graces’ attitude. Their first whisky was made from locally grown barley, aged in Australian wine barrels, and matured with Melbourne’s dynamic weather. Owner David Vitale’s pioneering spirit earned the distillery a loyal following and a heap of awards, including 2016’s Best Craft Whisky. Now the team is launching a new whisky designed to be accessible to everyone, both in flavour and price. Two-Fold is a double grain whisky made with Australian wheat and barley. The wheat addition gives the whisky a lighter characteristic and allows the wine barrel aging process to shine. It’s designed to be versatile enough to share with friends, enjoyed at the dinner table, and – if Dave gets his way – on ‘every self-respecting back bar in the world.’ The price point also makes it easy for spirit lovers to stock it in their ‘sharing cabinet’. Bucking the trend of premium pricing for Australian craft whisky, Two-Fold retails at $65 a bottle. Fans of flavour can look forward to whisky and food pairings during the month of November. Beloved wine bar Cumulus Up joined forces with Starward to create ‘flavour forward’ matches. Two-Fold Orchard Spriz cocktails will be served with Duck waffles on ‘Two-Fold Thursdays’ throughout the month for $20 a pop. Head chef Sam Cheetham calls the pairing ‘dangerously good’. 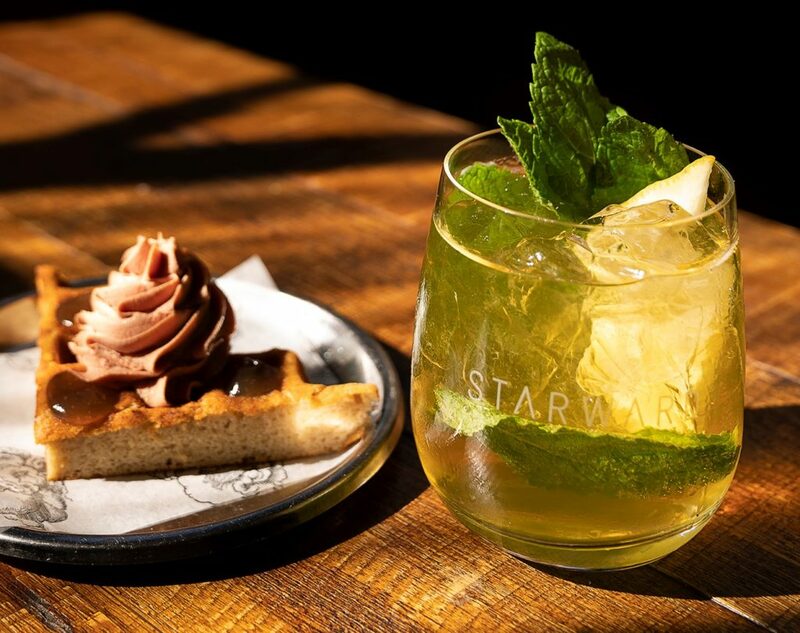 While I’d suggest ordering this combo for the sheer pleasure of saying ‘duck waffle.’ If you’ve got a taste for the sweet things in life, the team also suggests matching a chocolate tart with the Laneway Boulevardier cocktail. The Melbourne inspired drink is made with coffee infused Aperol, sweet vermouth, and Starward whisky. Like all good Melbourne laneways, it’s a delight. 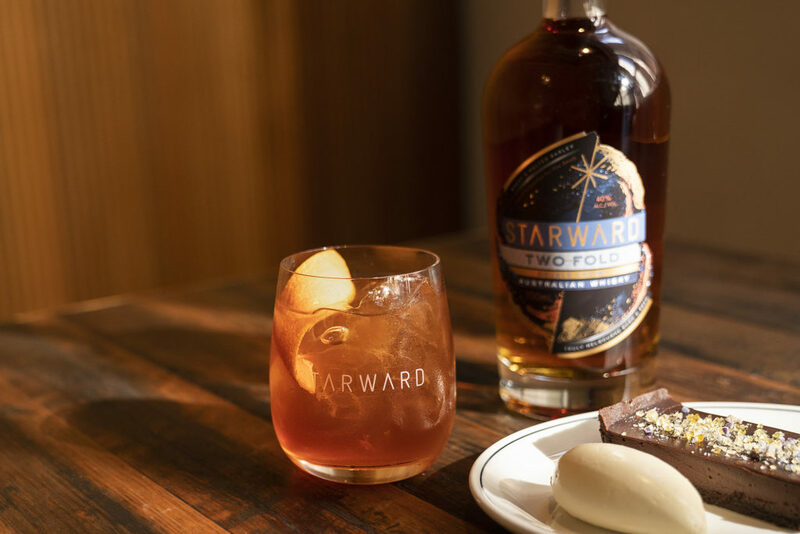 Based on our celebratory preview of Starward’s Two-Fold whisky at the distillery, we are enthusiastically toasting David’s ambition of taking Australian whisky to the world. 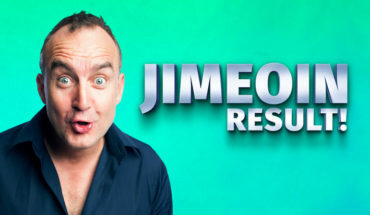 Two-Fold Thursdays runs 1-29 November 2018 at Cumulus Up. 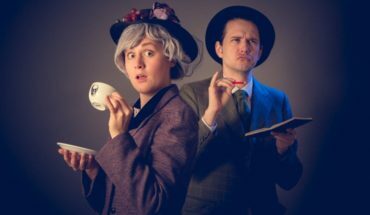 Disclosure: The Plus Ones were invited guests of Dialogue PR.